This qualitative study offers a window into the lives of formerly incarcerated youth, focusing on the struggles they encounter while transitioning out of the incarceration system and into adulthood. In light of the viral nationwide reaction to the shooting of Michael Brown and subsequent events, this article addresses very relevant issues of racial disparity in the criminal justice system and police violence by turning to a more personal, narrative focus. Seventeen formerly incarcerated young men were interviewed about their methods for navigating everyday risks, a complex survival strategy which balances obligation to gang brothers, avoiding of re-incarceration, and steering away from dangerous areas and situations. Through analyzing how formerly incarcerated youth develop strategies for safety and survival into adulthood, this study may provide a stepping stone to solving the issues of poverty, racial tensions, and police brutality which are currently the center of debate and discussion in America. Luskin Lecture Spurs Conversation on Poverty in America Event featured screening of documentary "American Winter" followed by panel discussion. On Tuesday, the Luskin School of Public Affairs held its first Luskin Lecture featuring a film screening and panel discussion about middle class Americans falling into poverty after the recession of 2008. The documentary, “American Winter” attempted to dispel perceptions and stereotypes about people who face poverty. The film follows the lives of eight families in their struggle to search for jobs and resources as their financial debts continued to grow, making homelessness a possibility for their futures. After the screening, Film Director Joe Gantz, Housing Advocate with Volunteers of America Orlando Ward, and Social Welfare professor Laura Abrams sat down with moderator Val Zavala of KCET to discussed the themes of the film with the audience. Ward, who was homeless and spent 15 years on Skid Row before going on to become the Vice President of Operations at Midnight Mission said he found the film emotionally satisfying and well informed in pointing to solutions. “(Being homeless) is the most dehumanizing situation to be in. The film captured the fact that these are people that can be your friends, your neighbors or your family,” Ward said. Having lived with these families while making the film, Gantz said he saw the stress they went through to maintain basic needs like paying electric bills and feeding their kids. “I think what you see in this film is that these myths about it being the people’s fault are anything but true. These families are incredibly resourceful and hard working,” Gantz said. Gantz is known for being able to bring to light very personal and intimate moments between the people in the films. In American Winter, some of the most emotional moments for the audience and the panel included those depicting the children’s emotional turmoil over their parents’ wellbeing or how they might support their own families in the future. Professor Abrams felt deeply moved by the children and said it highlighted the important topic of childhood development. The film addressed topics on a political level as well, using shocking statistics throughout the documentary revealing how money in America is distributed. “The money is going to the top 10% and the middle class is disappearing. On top of that, new laws make it possible to pour unlimited amounts of money into elections. You begin to wonder if this system is able to be called democracy,” Gantz said. Although he thinks the federal response to this crisis did some good, Gantz said he was not struck by the U.S. reaching out empathically to those in need. Instead, services and programs that benefited those in need were cut and those families were left in the dark, he said. Ward said he does not think the American government can solve these types of problems on their own. Instead, we have to look at the third side and understand the personal responsibility in the situation, he said. Professor Abrams concluded the event by noting that this type of discussion and the issues presented are exactly the type that UCLA Luskin programs aim to address. This event was part of the School’s “Season of Service” that is highlighting underserved populations and the many ways students, faculty, staff and alumni are working to build a better world. State of the Nonprofit Sector 2014 Conference: The Center for Civil Society is releasing its annual report on the state of the nonprofit sector at the Skirball Cultural Center at 8:30am. Nowhere to Call Home: Building an Effective System of Support for Homeless Youth in the Los Angeles Region: moderated by Social Welfare field faculty member Michelle Talley at 12:15pm in Public Affairs Building room 2343. A discussion on Coordinated Entry Systems will be held at 5:30pm in the Public Affairs Building. A highlight of the Season of Service is on Saturday, Nov. 15 when the Luskin School participates in the 2014 United Way Homewalk at Exposition Park – walking and running to end homelessness. Register online and start fundraising here. A first-of-its-kind study co-authored by Social Welfare Professor Laura Abrams has gained attention by the National Association of Social Workers for its findings on juvenile offenders and rates of recidivism. The study was published in the March 2014 issue of Social Work Research, and was highlighted on the NASW blog. According to the paper, the findings from the study are contradictory to the majority of the existing literature. The paper looks at three different types of confinement sentences given to first-time violent offenders — probation in the home, group-home placement and probation-camp placement — and examines whether the type of placement affects the chances of recidivism for those offenders. Abrams and her co-authors, lead researcher Joseph P. Ryan of the University of Michigan and Hui Huang of Florida International University, used records from the Los Angeles County Department of Probation and the Department of Children and Family Services from 2003-2009 as data. They used a statistical technique called propensity score matching to control for static risks such as gender, race, and age. The study found that compared with in-home probation, the likelihood of recidivism was 2.12 times greater for youths assigned to probation camps and 1.28 times greater for youths assigned to group homes. The study was also highlighted in “Journalist’s Resource” run by the Harvard Kennedy School’s Shorenstein Center on Media, Politics and Public Policy. UCLA Luskin is home to a renowned Social Welfare doctoral program, one that focuses on independent research and interdisciplinary studies in order to produce top scholars and researchers. “Our doctoral program offers students the opportunity to pursue an independent line of study,” says professor Laura Abrams, chair of the doctoral program. “Although we are a small program, we focus on each individual student so that they are able to pursue these diverse interests and become leaders and scholars.” Among many notable achievements by both students and faculty, the following Social Welfare students were recently recognized for their research and work. Two students had the opportunity to present academic papers at the Society for Social Work and Research conference in San Antonio. Gina Rosen presented a paper on “Determinants of Employment: Impact of Medicaid and CHIP among Unmarried Female Heads of Household with Young Children.” For her research, Rosen analyzed how social welfare programs impact the employment choices of low-income single mothers with young children (particularly under the age of six). Rosen explains that her childhood in Milwaukee, a city with high rates of inequality and segregation, inspired her to study policy issues in college and graduate school. “I wanted to look at these equality and fairness issues and how to correct them through public policy,” says Rosen. Her work was also recently accepted for publication in the journal Social Work in Public Health. For the same conference, Christina Tam presented two papers on juvenile delinquency. For her first paper, “Gender Differences in Desistance from Crime: How Do Formerly Incarcerated Emerging Adults Use Social Supports?” Tam worked closely with Professor Abrams on the subject of transition to adulthood among formerly incarcerated young people, ages 18-25. This study analyzes youth transitioning out of juvenile justice and foster care systems. “I am interested in better understanding their experiences, as well as the practices and policies that may help these young people to cross this significant bridge,” explains Abrams. While Tam and Mizel work with Abrams on youth incarceration, a few students also collaborate with Ian Holloway, Assistant Professor in Social Welfare, to research the social determinants of HIV/AIDS. “HIV is a major public health issue,” comments Holloway. “We’ve made tremendous progress in terms of preventing the virus in certain populations like mothers and infants. Now it’s important to address health disparities in sexual minority communities and racial ethnic groups disproportionately affected by HIV.” Holloway’s current research focuses on analyzing the social networks of HIV positive men in Los Angeles in relation to their well being and health, as well as developing a mobile smartphone application to encourage HIV testing and treatment among young African American gay and bisexual men (a heavily impacted demographic). Shannon Dunlap is one of four students currently working with Professor Holloway on his social network research. “We’re using an informative survey to assess social networks of different people affected by HIV,” explains Dunlap. “We want to know how many people are in their social network, who they talk to, and how their social network supports them.” Outside of her studies, Dunlap also works with AMP!, a UCLA Art & Global Health Center program that aims to educate students about HIV through song, dance, and personal stories. “I’m looking at how [AMP!] impacts students and their social networks, along with how well the message has been received,” says Dunlap. While conducting her field study, Harris also began to notice the importance of her relationship with her interpreter, a Vietnamese local. “Without an interpreter, it’s hard to bridge the cultural disconnect,” says Harris. “My interpreter actually had his own interpretation of the data, by looking at it through a Vietnamese lens.” As researcher-interpreter relation is not a frequently studied topic, Harris began work on a separate paper analyzing her close relationship with her interpreter and how it affected her understanding of the research. The resulting product, “Working in Partnership with Interpreters: Studies on Individuals Affected by HIV/AIDS in Vietnam,” was recently published in the Qualitative Health Research journal. Lesley is currently preparing for her final defense of her dissertation (chaired by emeritus professor Ted Benjamin) and is beginning a job as an assistant professor at the University of Louisville’s Kent School of Social Work in the fall. While each Social Welfare student’s interests and research varies widely, their combined achievements serve to bring new insight and perspective to the field. “The Social Welfare program has a unique mix of scholars interested in society’s most pressing issues,” says Holloway. “Many of these issues intersect, and what’s been most exciting for me is that there is a lot of encouragement of interdisciplinary collaboration both within the school and within the larger university.” As the doctoral program continues to foster the development of innovative and interdisciplinary scholars, there may be more achievements in store for the students of Social Welfare. An article by Social Welfare professor Laura Abrams has been named the best article of 2013 to be published in the academic journal Social Service Review. Abrams’ article, “Juvenile Justice at a Crossroads: Science, Evidence, and Twenty-First Century Reform,” was selected as the winner of the Frank R. Breul Memorial Prize, named for a University of Chicago professor of social service administration. The award carries with it a $1,000 honorarium. Weaving together a survey of the history of the juvenile justice system with a detailed narrative of recent efforts to use scientific advances to spur policy reforms, Abrams’ article argues that “social workers ought to play a more visible role” in shaping the future of the system. Only the input of those who work most closely with troubled youth — and their families, schools and neighborhoods — can help build a better system, she writes. Abrams, who chairs UCLA Luskin’s doctoral degree program in Social Welfare, most recently wrote Compassionate Confinement: A Year in the Life of Unit C, which draws on a decade of research and more than a year of fieldwork she and her co-author conducted at a juvenile justice facility in Minnesota. Reviews have recognized its “engaging narratives, rich observations, and descriptive depictions of human experiences.” In October 2013 Abrams was selected to deliver the Seabury Memorial Lecture at UC Berkeley. Abrams’ article appeared in the December 2013 issue of Social Service Review, Vol. 87, No. 4, pp. 725-752. Examining the Legacy of Slavery and Racism In an effort to explore social justice issues and their relevance to students' future careers, the School of Public Affairs hosted a film viewing and discussion about the legacy of slavery and racism in the U.S.
As part of a School of Public Affairs effort to explore social justice issues and their relevance to students’ future careers, some 170 students, faculty, and community members recently viewed a film and engaged in a lively discussion about the legacy of slavery and racism in the U.S. Hosted by Dean Franklin D. Gilliam, with support from the W.K. Kellogg Foundation, participants gathered on Jan. 19 in the screening room of the Acosta Training Complex to see an abridged version of the documentary film, Traces of the Trade. In the film, which aired on PBS in 2008, producer and director Katrina Browne tells of her shocking discovery that the De Wolfs of Rhode Island, her prominent, Caucasian ancestors, were the largest slave-trading family in U.S. history. Together with nine other De Wolf descendants, Browne retraces the slave-trade triangle — from Bristol, Rhode Island to slave forts in Ghana to a family plantation in Cuba and back to Bristol. Along the way, they struggle with the politics of race, how to “repair” the centuries-long damage of slavery, and their own Yankee culture and privilege. Program participants engaged in one-on-one discussions about the film, as well as a question-and-answer session. Associate Professor Laura Abrams, who along with Joy Crumpton and Gerardo Laviña leads the “Cross-Cultural Awareness” class in the Department of Social Welfare, saw the issues raised by the film as important for social workers. “In a helping profession, it’s easy to see clients as having made bad choices rather than seeing their lives as structured by disadvantages and inequalities related to race, class, and gender,” she said. Gilliam, who served as an early advisor to the film, said the event was the second of a planned series of programs focused on social justice issues. Last year, the UCLA School of Public Affairs had an exchange with the Wagner School of Public Service at New York University, with each school hosting conferences on how to talk about race in the context of graduate education in public affairs. “We want to do a better job of giving students the analytical tools to examine issues of social justice, which they will need to deal with the people they will be helping when they graduate,” he said. Gilliam said plans include developing a curriculum, research opportunities, and a summer institute related to social justice. Together with Student Affairs, he also would like to hold social-justice dialogues with undergraduates, who then would dialogue with Los Angeles-area high school students. WASHINGTON, DC—Addressing the record incarceration rates across the U.S. and the boom in the prison population, the UCLA School of Public Affairs launched the first in a series of public discussions on critical national issues with the opening dinner of the Rosenfield Forums at the National Press Club in Washington DC. The inaugural forum, “Escaping the Prison Trap: How to Have Less Crime and Less Incarceration,” featured a keynote address on October 7 by the Honorable Steve S. Alm of the Hawaii State Judiciary. Alm is the creator of Project HOPE (Hawaii’s Opportunity and Probation and Enforcement), an innovative crime reduction program for drug offenses that has had dramatic success rates. Judge Alm described a frustrating sentencing and incarceration system that amounted to little more than a revolving door for minor drug offenders to move in and out of the judicial system. The program has had remarkable success in Hawaii (up to a 50% drop in repeat offenses among drug probationers); has been replicated by other judges; and has become the focus of research by UCLA Public Policy Professor Mark Kleiman and Pepperdine University Public Policy Professor Angela Hawken. The Department of Justice has funded a program to introduce the program to other jurisdictions across the country. The Rosenfield Forums continue on October 8 at the Rayburn Building on Capital Hill with panel discussions on: reducing juvenile crime and incarceration, led by Associate Professor Laura Abrams of the Department of Social Welfare; the consequences of mass incarceration, led by Professor Michael Stoll of the Department of Public Policy; and getting more crime control with less punishment, led by Professor Mark Kleiman of the Department of Public Policy. 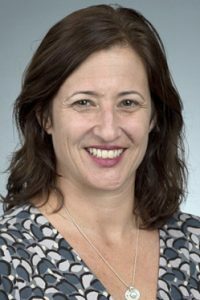 Challenges for Youth Reentering Society After Incarceration Social Welfare Associate Professor Laura Abrams joined the Howard Gluss Radio Show to discuss juvenile justice and reentry. Laura Abrams, associate professor of social welfare at UCLA, appeared as a guest on the Howard Gluss radio show (August 14, 2009) to discuss the barriers to successful reentry to society for juveniles in the incarceration system. Abrams is the director of the juvenile justice and reentry project, a program of the Department of Social Welfare at the UCLA School of Public Affairs that fosters the reintegration of juvenile offenders into the community upon their release. The following are excerpts from the interview. What are the major challenges that we face as a society for stopping young people entering the prison system?